The first American football game to be hosted at the Itaipava Arena Pernambuco World Cup arena in Brazil wowed over 7,000 fans through its highly-organized execution. Audience engagement using interactive technology made the experience just as, if not more, enjoyable than traditional futebol games. In a country like Brazil where the term futebol almost always means soccer, you might be surprised to find a team like the Recife Mariners playing American-style football. The team President, Julio Adeodato, is credited for evolving the game into a viable sport for his country and his efforts were recently recognized and supported by a visit to the United States through a State Department-sponsored mentorship program called Sport for Community. Sport for Community is a Department of State program that pairs emerging leaders with representatives from private and non-profit sports-based organizations for a month-long mentorship experience in the United States. Julio was paired with Jamie Rocha, senior associate for Glideslope, a team of management advisors focused on the business of global sport. 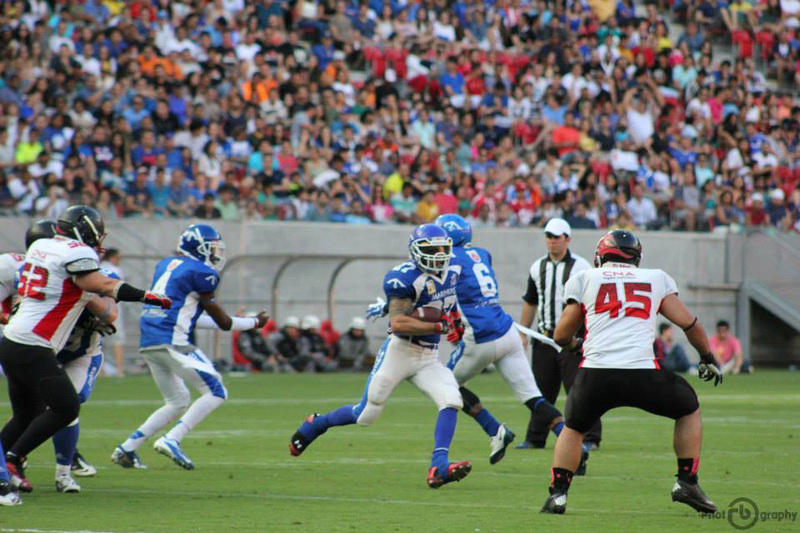 Brazil is garnering much attention as host of the coming 2016 Olympic and Paralympic games; hence, the exchange program forged a great two-way partnership, allowing Glideslope to learn more about the country and its position on American football while Julio learned better strategies to operate and promote the sport. Through Glideslope, he was able to meet and network with NFL contacts. “I think with the [new] contacts, it will help me bring more attention [to the team],” he said. 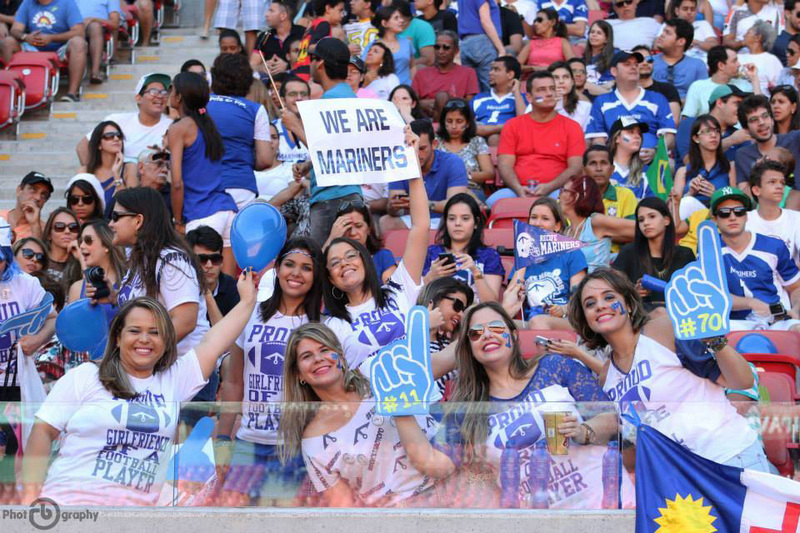 Although soccer is Brazil’s most popular sport, support for the Recife Mariners has rapidly grown since they first took to the field seven years ago with just 20 players and no equipment. Julio differentiates American football from the crowded soccer marketplace by focusing on community development and fan engagement. He credits the team’s approach to audience participation and community initiatives as the reason nearly 3,000 fans fill the stadium seats – just slightly less than the count for major soccer teams. Through the Sport for Community program he also learned more about social marketing, which he will use to build the image of the team. “I went to really important meetings that gave me insight on how to promote the team,” said Julio. Julio returned to Brazil with great advice about how to grow the sport and ways to offer youth programs in American football. As the goal of the program is for mentors and emerging leaders to build lasting relationships, Jamie looks forward to her visit on Julio’s turf to continue to support his work and learn more about the role Glideslope can play as a partner. In its most recent game against João Pessoa Espectros at the Northeastern Conference Finals "Superliga Nordeste", fan interaction that included videos on the stadium screens, audience cameras encouraging kissing and dancing, and even a Harley Davidson riding onto the field to deliver the trophy were all signs of global growth for an American sport. The Department of State worked with Partners of the Americas to sponsor and select participants for the Sport for Community program with the help of the U.S. Mission in Brazil. All participants have three or more years’ work experience in a sport-based youth development organization, and possess the ability and potential to scale-up a current project, or create a new project with their mentor’s support. To learn more about the program, visit Partners of the Americas.